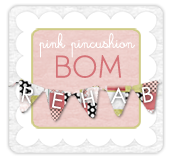 Cupcakes 'n Daisies: I'm Home! At check in all the attendees received this cool Carolyn Friedlander bag filled with goodies! 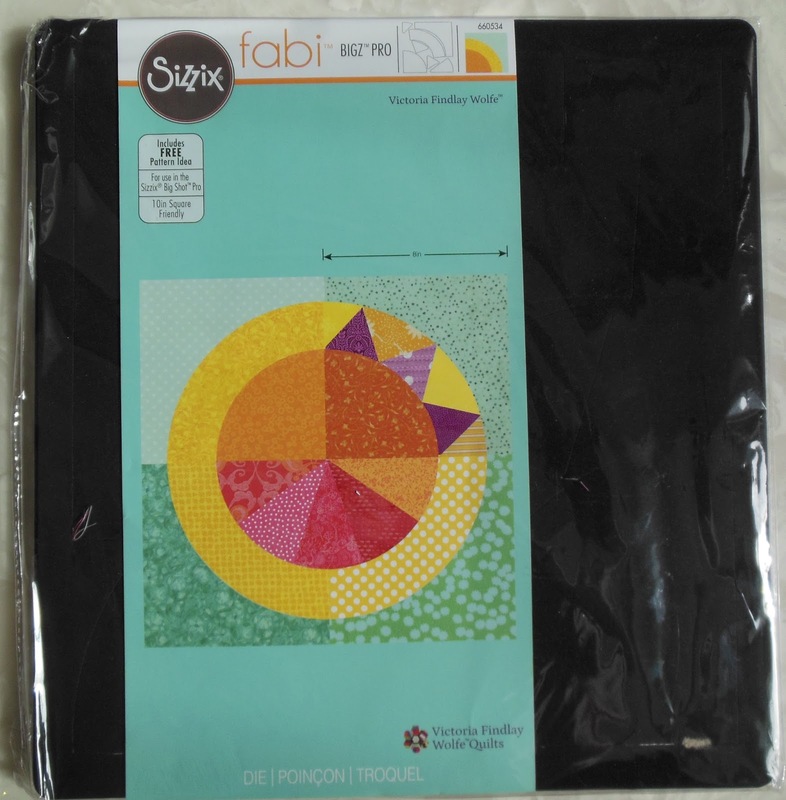 This was the official giveaway Quilt Con quilt, named Eidos. I bought a few raffle tickets but have not gotten a call, I'm guessing that's not a good sign. 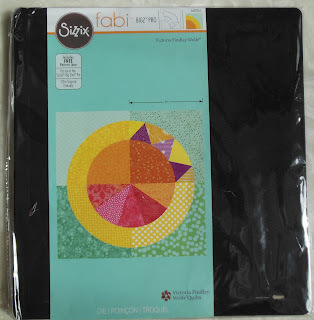 But I love this quilt and have yet to make a quilt using diamond blocks, I'm adding that to my 2016 Goals List. 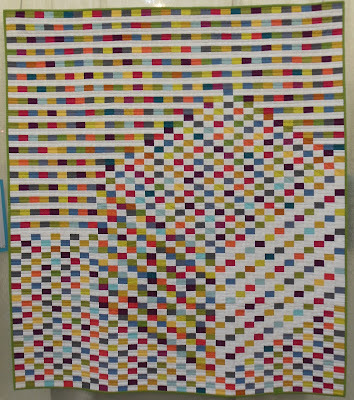 I was only at QuiltCon two days and took classes both days, the time flew by. Each person in the class was given this die that cut all the pieces you see below. Getting the die was wonderful and enabled all of us to cut as many pieces and parts as we wanted. I used the ombre prints by V & Co for Moda for my project. 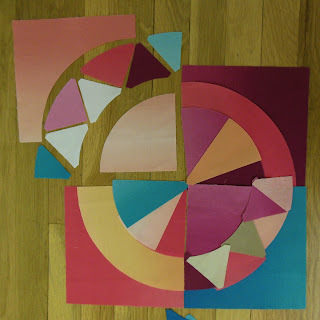 Now I just need to sew those pieces into blocks. The other class I took was a basic EQ7 class. 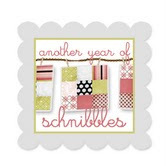 It was taught by Christa Watson of ChristaQuilts. I've had EQ7 loaded on my computer for a good while but never really understood how to use it. 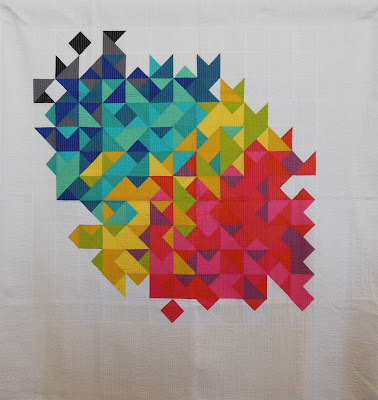 Christa did a wonderful job of explaining the basics, and even though I only understand a small portion of how this powerful software works, I did learn enough to be able to create blocks and create a quilt. The day was well worth my time. Now that I understand the basics I"ll be able to work on my own to learn so much more. I think I took a picture of every quilt, I won't post all the pictures but here are a few of my favorites. 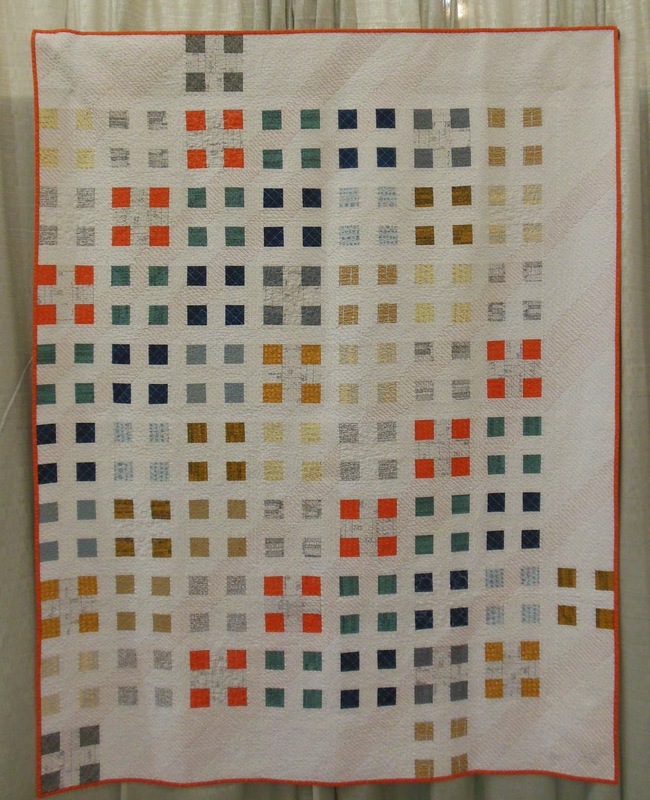 This quilt is Patch Nine by Dora Cary. This is Fish and Visitors by Rebecca Burnett. I've been to several big quilt shows, and they each have their own individual vibe. 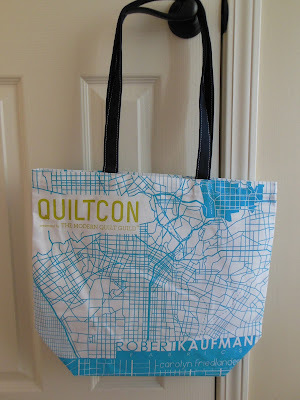 There were several things about QuiltCon that made it a very special experience for me. First off, there were not the crowds that I normally find at the bigger shows. It's almost impossible to walk the aisles and you have to wait your turn to work your way up to the front of a quilt to get a good picture at some shows. 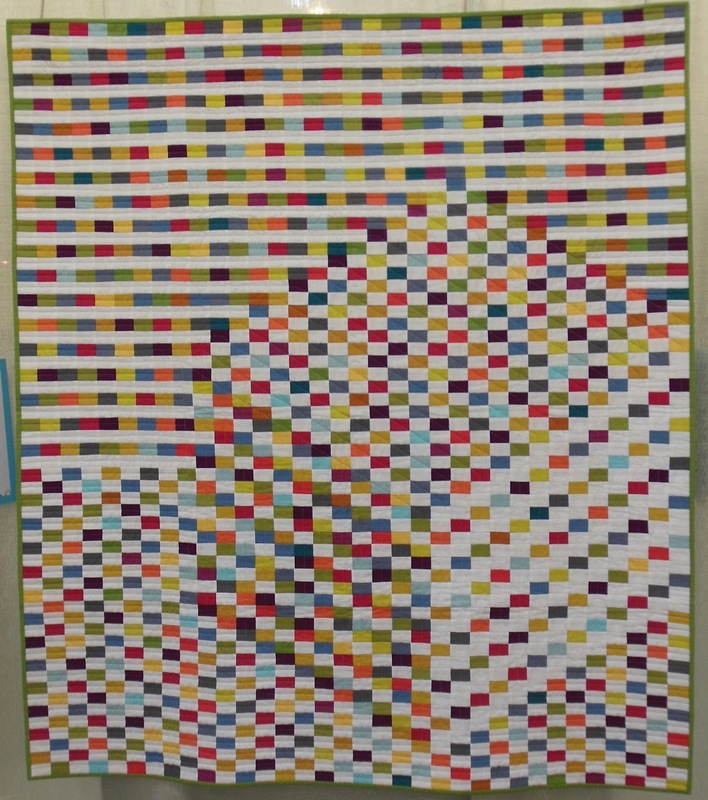 There was so much space in Pasadena, I never felt crowded and was able to study and enjoy each quilt in the show. I also thought my fellow attendees seemed so happy to be there, everyone was in a great mood and friendly. QuiltCon 2017 will be held in Savannah, Georgia. I sure hope to be there! I've read so many posts about this show, it sounds fantastic. I'm seriously thinking about going to Savannah for it in 2017. Savannah is on my list of places to visit anyway. Did you get to meet Lori Hernandez? She is from S. Louisiana. I live in N. Louisiana, and she is a fantastic Babylock instructor. I cannot believe we were in the same class and I did not meet you! I was surprised (shocked) to see Victoria included my blocks made the cut onto her blog, Quilt Con was a blast and I agree with your assessment of the show. I am looking forward to Savannah next year. 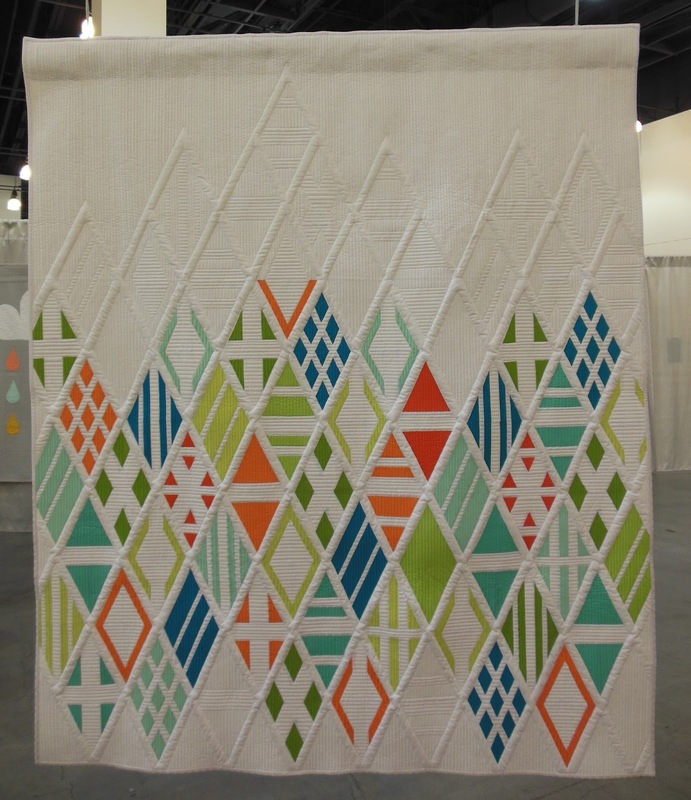 Quilt Con is definitely on my list of "someday." :) Love that block you started! There was such a positive, uplifting and friendly vibe to QuiltCon- I was so glad I went and looking forward to going again in 2018! The show sounds like it was a blast. I was wondering how your EQ class went. I need to take that class! You made my mouth watering ! I think I recognized your hair behind the hand in Victoria's blog picture !